The Vesuvius is one of the most studied and well-known volcanoes in the world. 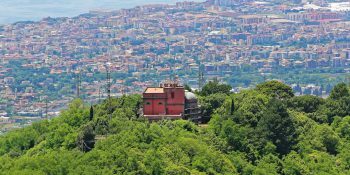 A symbol of Naples with its unique shape, it has a typical frusto-conical shape, with its highest peak reaching 1,277 metres. 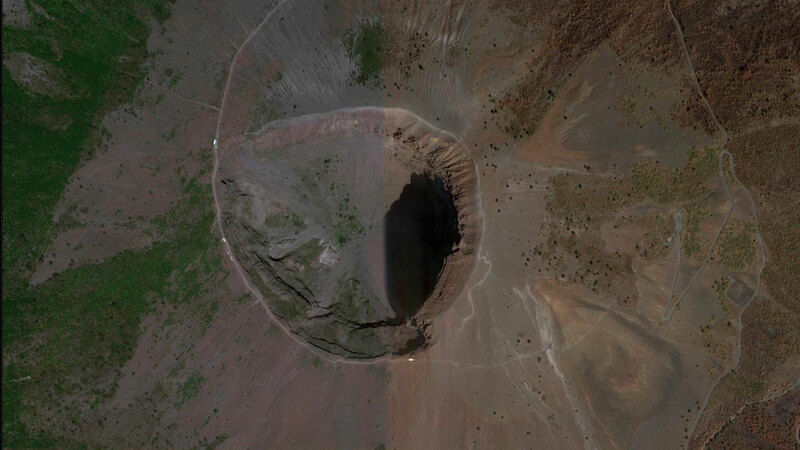 The crater currently has a diameter of 450 metres and a depth of 300 metres. The Vesuvius is a typical example of a volcano in a volcano made by an outer broken cone, Mount Somma, with a crateric belt most of which is destroyed, where a smaller cone represented by the Vesuvius can be found. 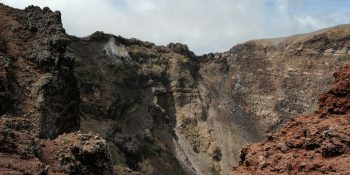 The two cones are separated by a hollow called Valle del Gigante, a part of the ancient caldera, where the Gran Cono or Vesuvius later formed, probably during the eruption of 79 AD. Valle del Gigante is divided into Atrio del Cavallo on the west and Valle dell'Inferno on the east. Mount Somma's ancient crater is well preserved as far as its entire northern part is concerned, because it was less exposed to the volcano's devastating violence in historic times and was well protected by the height of the internal wall that prevented the lava from outflowing on its slopes. The slopes, which vary in their steepness, are furrowed by profound radial grooves produced by the erosion of meteoric water. 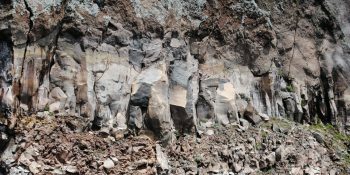 The whole section is then characterized by dikes and fringes of dark volcanic rock. The old crater edge is a stream of summits called cognoli. 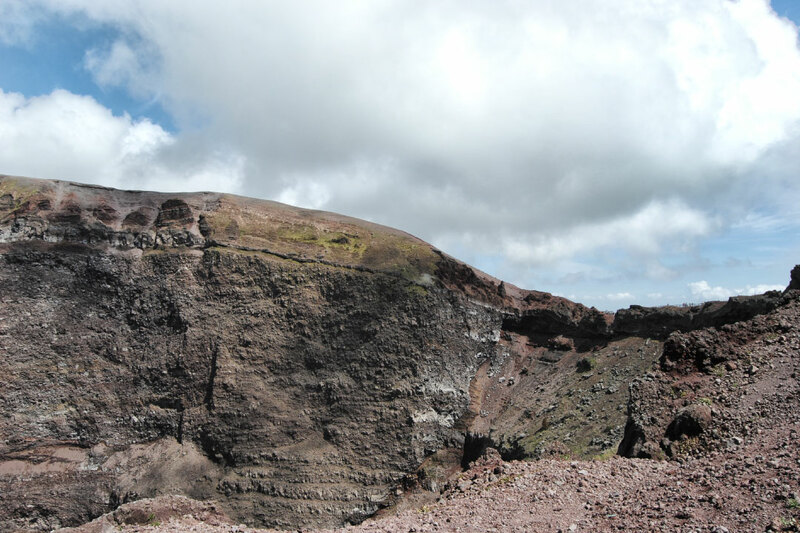 While the height and shape of Mount Somma haven’t changed for centuries, the height and shape of Mount Vesuvius have undergone considerable variations due to the following eruptions, with rising and lowering movements. Mount Vesuvius is a typical polygenic mixed volcano, i.e. it’s made of lava of different chemical composition (e.g. trachytes, tephrites, leucitites) and is formed either by lava flows or pyroclastic sediments. 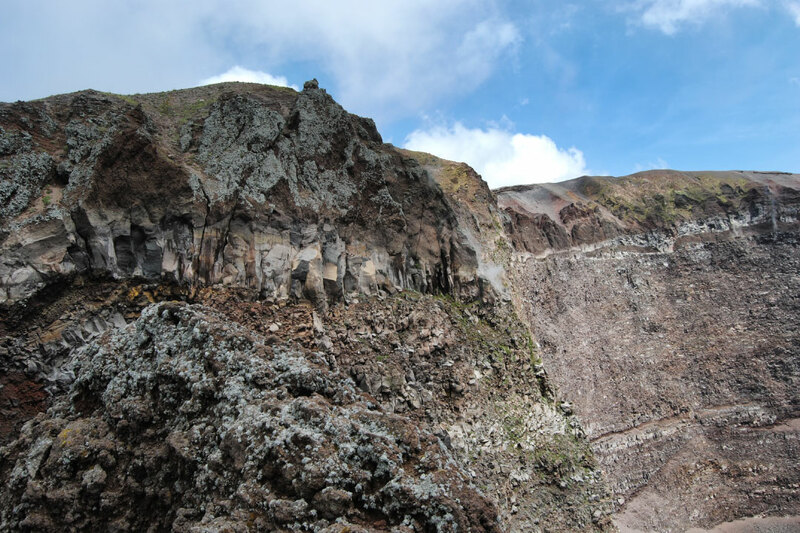 All the zones on the slopes of the mountain are made of land that has been transported by lava of mud and goes down from the steep slopes in the rainy seasons through deep and narrow grooves called channels or more commonly lagni. The high embankments are formed by piles of lavic scoriae, which precipitated in incandescent state and spread towards the low slopes, proving to be important for vegetation thanks to their fertile material, rich in silicon and potassium. 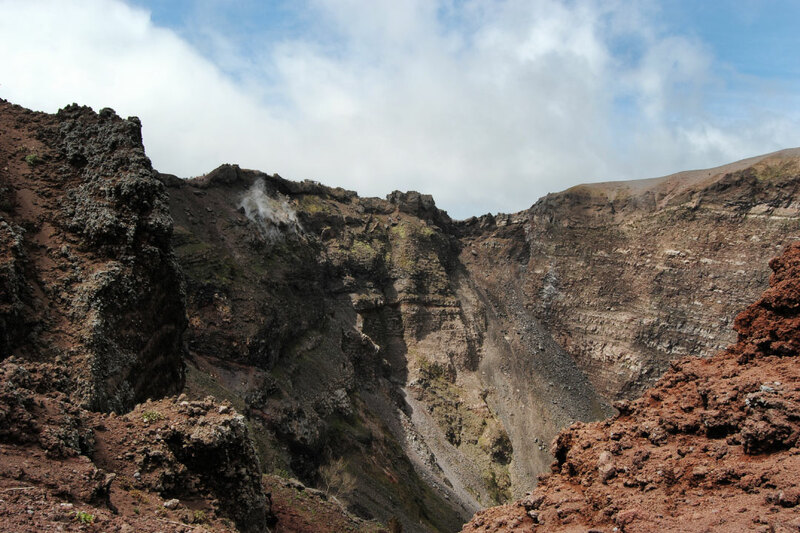 The origin of the Somma-Vesuvius volcanic complex can be traced back to 400,000 years ago. The Vesuvius, the only active volcano in continental Europe, is part of a large volcanic area that formed nearly 2 million years ago. The volcanological observatory belongs to the history of the volcano, but also to the world volcanology.